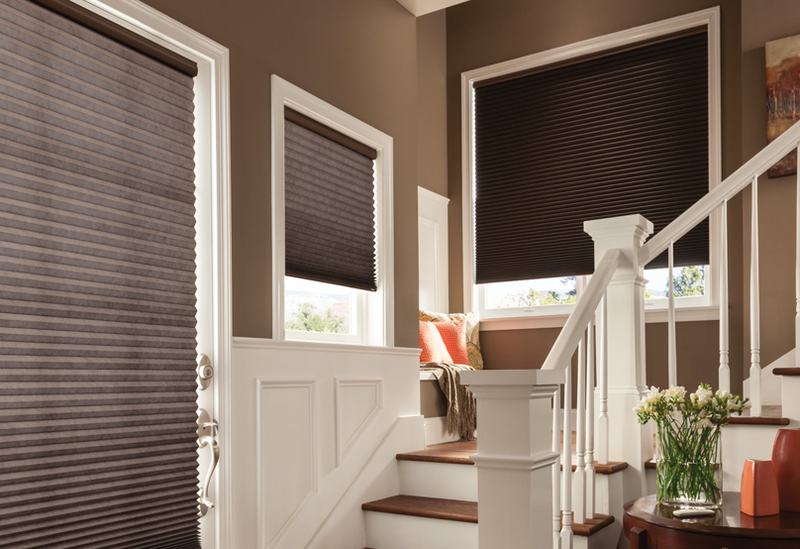 Arjay’s Window Fashions provides a full range of Honey Comb Shades for both Commercial & Residential use. We have expert designers and use leading technologies to provide solutions that not only look good, but perform amazing as well. When scheduling a design or service appointment with Arjay’s Window Fashions our office will email an Appointment Confirmation that includes a photograph of the person who will be coming to your home or office along with their background information. You can also schedule a consultation with a Designer here at our showroom where you can experience working product samples and all the various material selections. Arjay’s offers in home or office design assistance where our Designers will provide as much (or as little) support as our clients need; some clients have a very clear vision and need little assistance while other would like more participation from our design team. Whatever your needs might be, we are committed to helping you accomplish your design goals by providing our design expertise and introducing you to the latest window products! Learn More about our Showroom in Arizona! While we have been providing and installing shades, blinds, shutters and drapery in Arizona for several years, we are pleased to announce that we are opening our first Arizona showroom in Tempe. Arjay’s Window Fashions has been operating since 1975 and has been the recipient of a number of industry awards over the years including being recognized as a Small Business of The Year in Southern California. Arjay’s Interior Design Team can also bring the showroom to your home or office. We have trained and certified professionals who love helping our customers clarify their window covering needs and design ideas; then fulfilling them with beautiful and functional treatments. We can help you improve the aesthetics, comfort, privacy and energy efficiency of your windows. 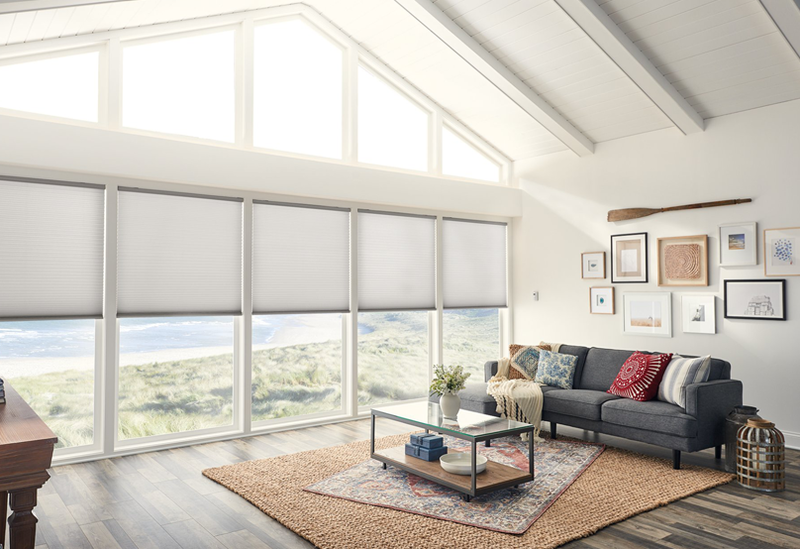 We also have certified motorization experts that can help you design interior and exterior window shading that can be operated with the push of a button, voice command or hands free automation. Thank you for considering Arjay’s Window Fashions and please know that we are all dedicated to exceeding your expectations when it comes to product selection, design professionalism and quality of service. Cellular Shades provide fashion, function and the highest degree of energy performance. To create honeycomb cellular shades, manufacturers sew a front layer of fabric and a back layer of fabric together along seams. The cells that result from this unique assembly technique resemble honeycombs, and they act as excellent noise barriers. While vehicle traffic flies by on the street or your neighbors party next door, you enjoy conversation, music or peace and quiet inside your home. The superior insulation abilities of cellular shades means you save money. Your energy bills remain low as your home stays warmer in the winter and cooler in the summer. Plus, your heater and air conditioner work more efficiently, which reduces repair and maintenance costs and prolongs their life. Additionally, cellular shades provide UV-protection, which reduces costly fading of your home’s valuable furnishings, flooring and decor. Create visually appealing rooms in your home when you decorate with honeycomb shades. 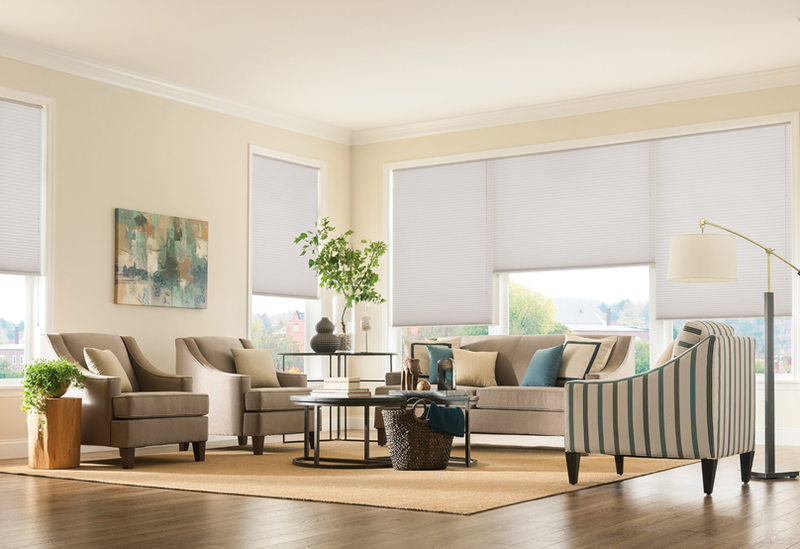 Honeycomb shades have modern and clean lines, various cell sizes, unique texture and numerous colorful finishes perfectly complement existing home decor or anchor new room designs. You’ll appreciate these fashionable window treatments throughout your home. Often referred to as Honeycomb Shades, Cellular Shades are pleated products that create “air pockets” or “cells” in between the pleats and these cells provide thermal resistance to heat loss and heat gain through your windows – like a dual pane window! 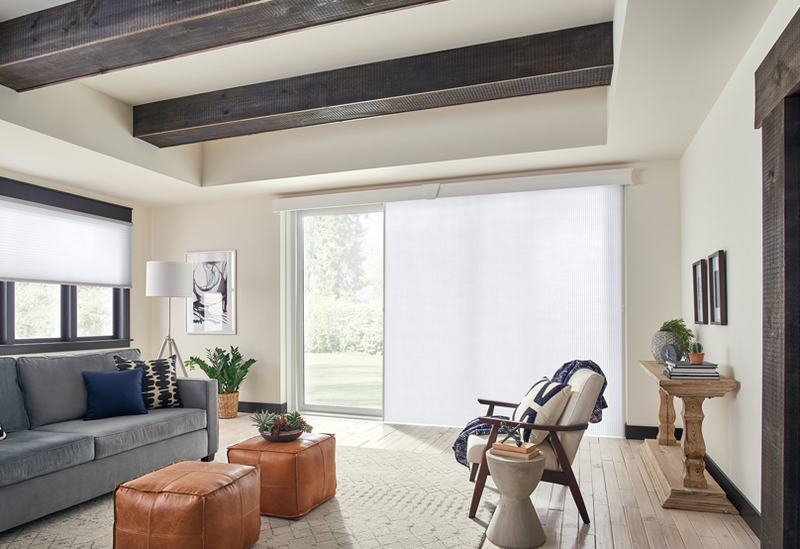 Cellular Shades (Honeycomb Shades) are also operable vertically, as well as horizontally, and can be combined with various materials on one shade to create duo shades that are both light filtering and room darkening. Cellular Shades are also considered one of the tightest stacking products that when pulled off the window, are less likely to trespass on visible glass. Motorized Operation: Lutron, Somfy, and Q Motion Motorization available. Energy Conservation: The highest level of solar and thermal control when installed properly.